A very significant event for the Dublin City Interfaith Forum happened in the week before Christmas. 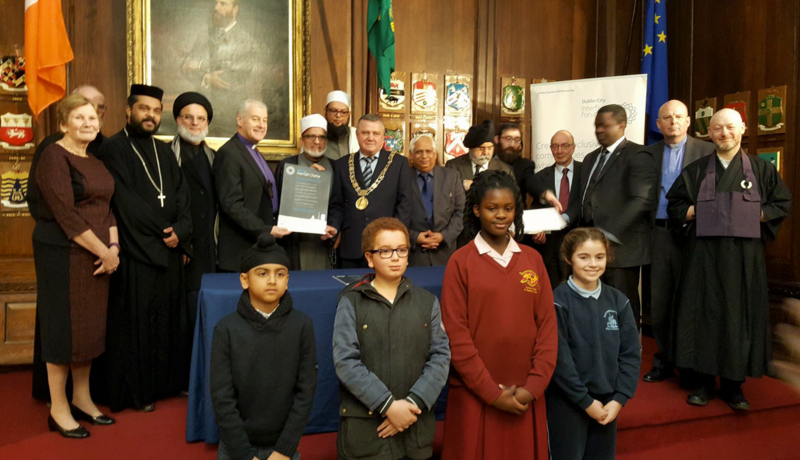 Leaders of all the faith communities represented on the forum met in the Mansion House to sign the Dublin City Interfaith Charter. 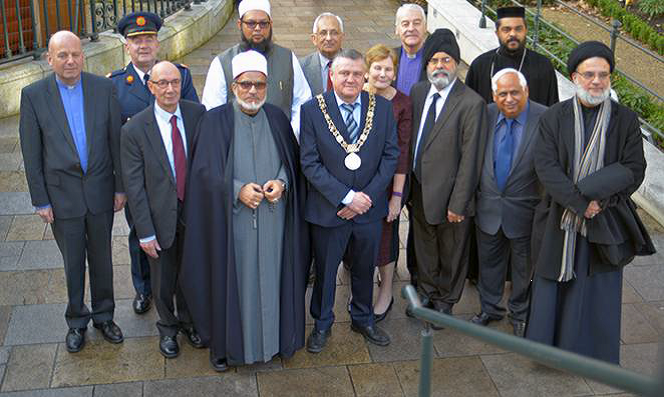 The Charter sets out a vision of how faith communities, who with all their diversity share so much, can work together to build a more tolerant and welcoming city. The Charter captures the spirit of the work undertaken by the Forum in recent years. By formalising this in a public statement and with the endorsement of the Mayor, it now becomes a public commitment by all involved to continue and to indeed enhance that work. We also met with two visiting interfaith groups from Israel and Palestine. 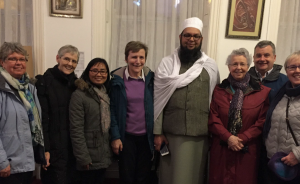 The first was a group of Christian, Muslim and Jewish peacemakers who attended a conference on Religion and Violence organised by the Irish School of Ecumenics with the help of the Forum. Over two days we explored together issues of religion and identity in what was a very humbling and sensitive process. The event ended with what is believed to be the first interfaith prayer service held in the medieval St Patrick’s Cathedral. The second group was a very dynamic group of younger people, again from the three faiths, all from Jerusalem. Their engagement and commitment to interfaith work in a place where it might put your life at risk was hugely impressive. The Forum arranged for a civic reception for the group, and then organised meetings with other young people and a visit to Glencree Reconciliation Centre. There they had a chance to meet and talk with people who had been involved in the Irish peace process. There was also an unplanned but very successful visit by some participants on the last IMU Faith and Mission course to the Al-Madinah Mosque in the centre of the city. 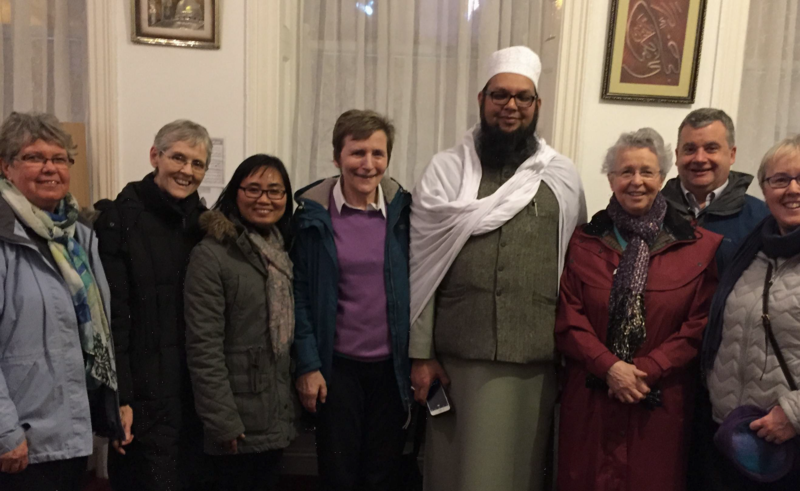 The intention was to drop in and say hello for ten minutes – but the very gracious and hospitable Imam Jameel of the Sufi community gave us over an hour of his time to show us around, gave us refreshments and answered all our questions. We recently marked World Religions Day with an interfaith prayer service hosted by the Baha’i community. To read the full Columbans Ireland Outreach News, please click here Columban Centre.